Are Banks to Raise Interest Rates? While the Reserve Bank Board has decided to leave the cash rate unchanged for the eleventh straight month, experts are warning home buyers to brace for higher rates in the near future. There is a lot of speculation among economists as there are fears that banks might increase investment property loan interest rates to improve their profit margins. Growth in the housing market also appears to be slowing as a result of numerous macro-prudential policies imposed by the APRA. The new measures have forced banks to cut back on investment property lending. As per the new regulations, banks have to limit interest-only lending to 30 percent of their total new residential mortgage lending. 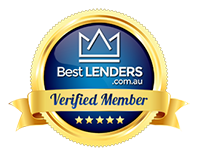 The APRA has also urged banks to cut back on interest-only lending at LVRs above 80 percent. As banks continue to raise interest rates unexpectedly, an increasing number of borrowers are flocking to mortgage brokers and other lending institutions in the hope of finding a better deal. Investors are currently being charged more than owner-occupiers, especially if they have interest-only loans. Not all lenders have widened the gap between investment and owner-occupier loan rates though. So instead of going straight to the bank, financially-smart investors are now approaching mortgage brokers. They’re carefully scrutinising the market and comparing home loan products to make sure they’re not paying too much. Mortgage brokers have the capacity to work out the differences between 30-40 banks and their home loan products. They do all the shopping around for investors or owner occupiers and often end up finding their clients better deals than those offered by the banks. Statistics reveal that around half of the home loan applications submitted to the banks now go through mortgage brokers. One of the most helpful things mortgage brokers do is that they break down complex financial jargon. They educate borrowers and help them make more informed decisions. Brokers have access to many options. They know exactly what’s happening in the industry and use their negotiation skills to help borrowers find a good package. Everyone wants to pay as little for a home loan as possible, but the cheapest home-loan product is not always the best. Lenders often entice borrowers with incredibly low ‘introductory rates’ or ‘no-frills’ products. These products may look attractive, but they often lack certain desirable features. Mortgage brokers listen to their clients’ needs and look for products that are set up correctly to suit those needs. While banks may have raised interest rates over the past couple of years, it’s certainly not putting off investors. They still see property as an excellent investment and they’re ready to shop around to find themselves the best deals.